Are Businesses Affected by Weather? Bad sales and negative reviews are not the only ways a business can be negatively affected by outside forces—bad weather can also be detrimental. Take the recent flooding in North Carolina and Louisiana that has left small businesses struggling to recover. 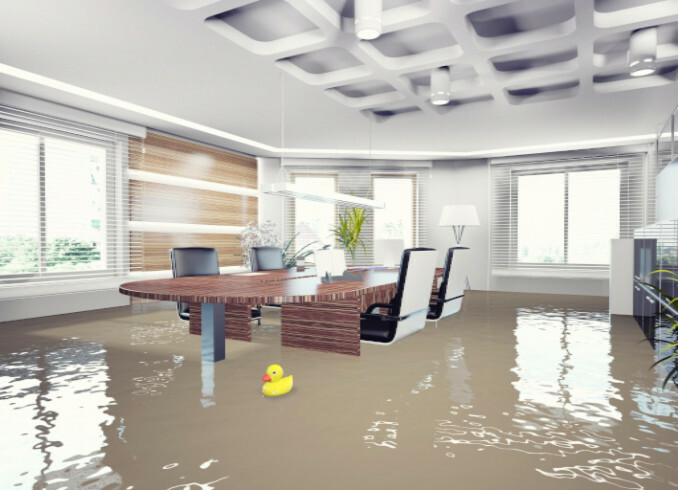 Unlike other aspects of the business world, there’s little business owners can do to avoid natural disasters from damaging their businesses. According to the U.S. Census Bureau, small businesses are particularly susceptible to being negatively impacted by severe weather. Data shows that after a natural disaster, such as Hurricane Katrina, small businesses are more likely to shut their doors permanently than average or large-sized businesses. Small businesses have a great impact on communities, so permanent closings can be more harmful than you’d think. Small businesses can account for upwards of half of a community’s workforce and generate roughly 45% of the community’s GDP. Why are small businesses more likely to be negatively impacted by bad weather? In many communities, small businesses are actually more productive than their larger counterparts. However, they are less likely to have the resources to invest in adequate risk management practices. Secondly, newly opened businesses grow quicker than older, more established businesses, making them more at risk to fail. When businesses are just beginning, they often don’t have the capital to weather the storm when things go wrong. Starting a business is hard enough without having to worry about natural disasters. Luckily, while there’s little business owners can do to avoid being hit by a tornado, other difficult aspects of running a business, like how to choose a business entity, can be worked around, especially with help from MaxFilings.